In the occasion of 81.Pitti Bimbo we are proud to announce the second edition in Florence of unduetrestella DESIGN WEEK. 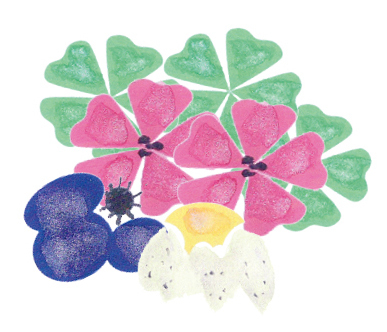 During this unduetrestella DESIGN WEEK at Pitti Bimbo we would like to play with flowers and colours. We are happy to announce the participation of the Italian kids design company Nidi by Battistella with the wonderful four-poster bed KAP that will be dressed by the special bedding tissues by Affinità Moderne. We are also proud to have with us in Florence the Turkish kids design brand LIL’gaea and the young new baby design brand &me with the special crib, from Netherlands. We are happy to host the delicate and unique project by the French brand Origanid: simple pliable cabanes in recycled materials, that offer to kids playful spaces to imagine and be creative. Among the new kids accessories brands that join us to 81.Pitti Bimbo there are: Anitas Peg Dolls from Canada, with cute collections of wooden Peg Dolls, the unique cushions by “ah, quel plaisir!” from Paris, and the soft and minimal collection of whales and penguins by Noga Ravin from Poland. For the first time at Pitti Bimbo we are happy to cooperate with the stroller brand Joolz: a year ago, they came up with the idea to give their packaging a second meaningful life. Every box can be transformed into a practical and beautiful product for children to play with or to be used as decoration in children’s rooms. In the KidzFIZZ area, unduetrestella DESIGN WEEK plays with the topic of colours and flowers. georges, from France, presents a new collection of music boxes dedicated to flowers. The French brand collégien will show its new collections of sleepers. Mera & Longhi, historical candies company, joins us with new flavours dedicated to roses and violettes. Since 2013, during the winter edition, Pitti Bimbo has invited unduetrestella to show a little and precious preview of the main show in program in Milan during the Design Week. With unduetrestella DESIGN WEEK, unduetrestella wants to point the attention to the most important Italian event dedicated to design since years: the Design Week in Milan and the internationally prestigious Salone del Mobile by dedicating a special week to design and art project for kids. Art, design and creativity are the key players of unduetrestella DESIGN WEEK. unduetrestella deeply perseveres to create and show the most interesting design ways and creative solutions to live and grow with kids, but first of all to be kids. The idea is to show different solutions, different “spaces for kids” cooperating with brands, companies, designers, artists and creative people involved in kids universe. Unduetrestella is still continuing its research and scouting itinerary in an internationally context to include and shed light on the most particular and interesting projects oriented to the kids world.